At age 24, Ora has been with Young at Heart for 16 months and she is still going strong despite her cancer diagnosis. This sweet senior gal is quite independent, and even though she was always welcome to be out and about in her sanctuary home, she chose to make herself at home in her own space in one of the bedrooms. That WAS until late last week when she joined the rest of the kitties in the house and decided to become one of the kitty crew. 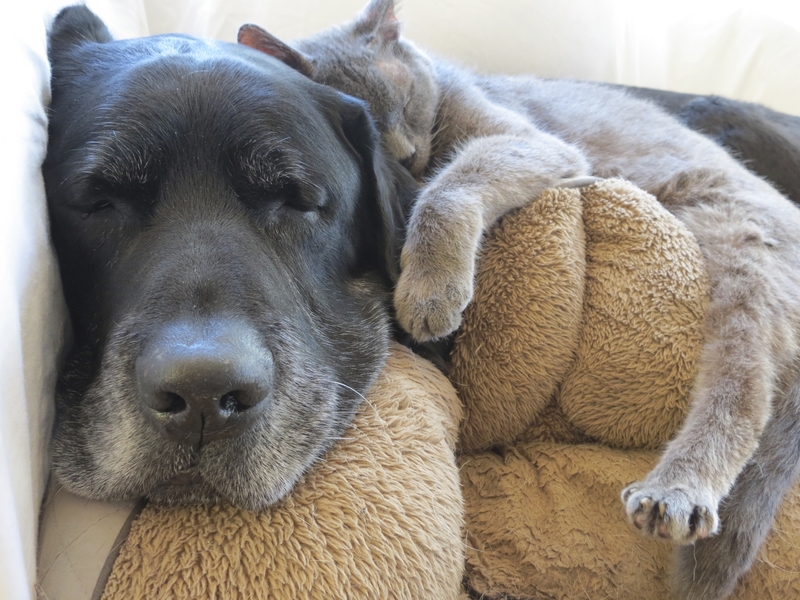 She hasn’t looked back and has quickly become friends with the second oldest kitty in the house, YAH alum Mia, who will be 20 years old later this year! Senior ladies have to stick together! 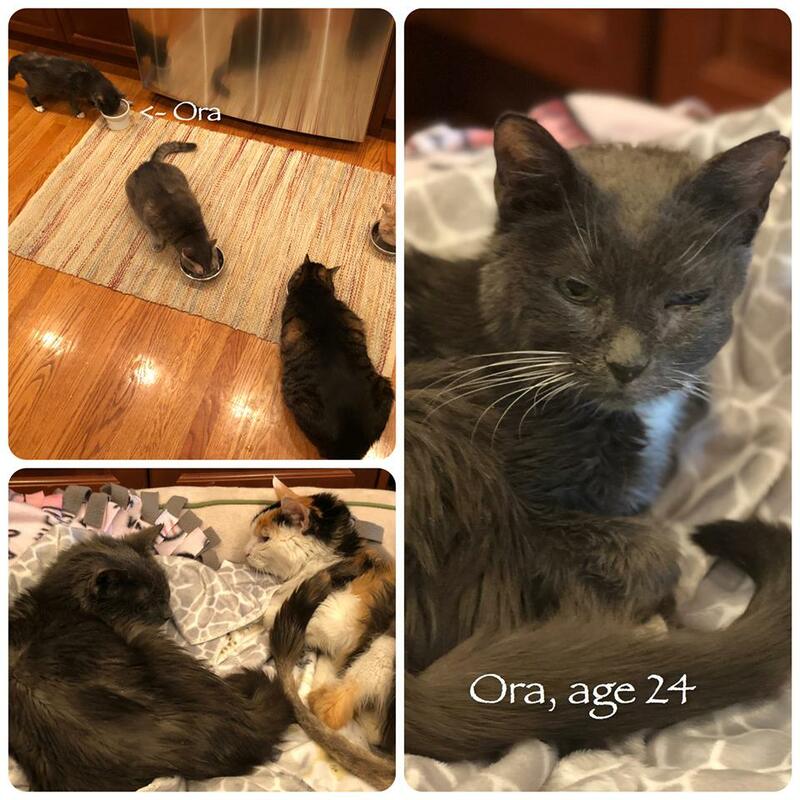 Ora still eats like a piggie, now sharing mealtime with her feline friends, and she is enjoying life to the fullest while her sanctuary family makes sure she is spoiled. It took her a while to feel comfy sharing her space with other cats, but we are so excited for this new development and we look forward to new adventures for her! We love you Ora and are so grateful for every extra day we have with you!